The evaluation of the Danes is clear: there is no way to retrieve the boat that ran aground. “One of the options is the construction of a new boat and, if there’s time to get back, we’re going to fight again. We are working together with the Volvo Ocean Race”. The crew anything suffered, but the vessel was badly damaged in the sand spit kebab on Cargados Carajos Shoals (Saint Brandon), about 260 miles northeast of Mauritius. After the accident and before being rescued, the athletes have made every effort to save the parts and equipment possible. 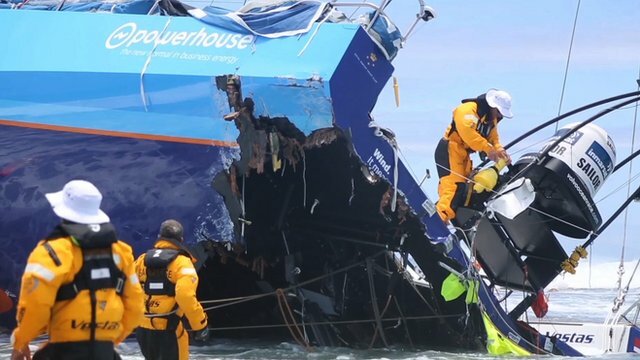 The Volvo Ocean Race CEO, Knut Frostad, commented: “we will do our best to resolve. We have to learn to deal with the situation, as well as the Vestas, which has our support. 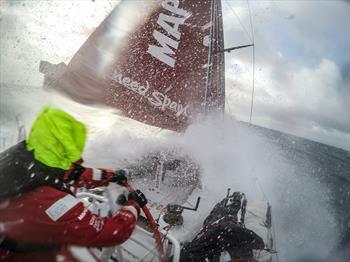 Will be a challenge and the Volvo Ocean Race is made of challenges”. To avoid impact to the environment, the Organization of the Volvo Ocean Race is working day and night to remove the stranded boat since 29 November of the Indian Ocean island. Commander Chris Nicholson reported the incident in an interview on Monday. According to Team leader Vestas Wind, 48 hours before beaching, he and your team had assessed the conditions in that part of the Indian Ocean. “We saw that there were some seamounts. The depth varied 3,000 metres and 40 metres”, said the boater.